Automatic localization of sensor node is a fundamental problem in wireless sensor networks. For many applications, it is meaningless without relating the sensed data to a particular position. Many localization procedures have been proposed in the field recently. 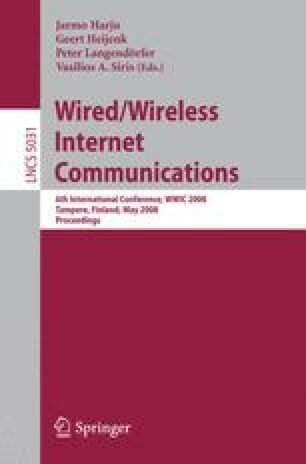 In this paper, we present a collaborative localization scheme from connectivity (CLFC) for wireless sensor networks. In this scheme, the connectivity information is used to improve the accuracy of position estimation. Relative positions between sensors are corrected to satisfy the constraints of connectivity. The scheme is composed by two phases: initial setup phase and collaborative refinement phase. In initial setup phase, DV-Hop is run once to get a coarse location estimation of each unlocalized sensor. In collaborative refinement phase, a refinement algorithm is run iteratively to improve the accuracy of position estimation. We compare our work via simulation with two classical localization schemes: DV-Hop and AFL. The results show the efficiency of our localization scheme. When compared with DV-Hop, estimation error of CLFC is reduced by 14% and 20% for random beacon deployment and fixed beacon deployment respectively. Furthermore, the proposed method CLFC is much better than the traditional mass-spring optimization based scheme AFL in terms of convergence rate. This results in significant saving in message complexity and computation complexity.